This review and reporting tool provides data on a subject property and its neighborhood when an appraisal is not yet available. With Property Scan, you’ll view property characteristics, sales histories, tax information, a location map, neighborhood homogeneity and conformity measures, as well as details on land use, price, age, and recent foreclosure activity. Perfect for technical reviewers, underwriters, quality assurance managers—anyone interested in a closer look at collateral data—FNC’s Property Scan provides details on the subject property, its neighborhood, recent area sales, and recent foreclosure activity. This multi-faceted report helps you identify potential loss exposures through better collateral review. Reviewing starts with analysis. Property Scan compiles all the data you need into a single, comprehensive report. This easy-to-read, dynamic report lets you drill down on any property or sale for full details, including optional plat maps and satellite imagery. To include this valuable information in the loan file, simply choose to save or print the report. Property Scan’s unique homogeneity and conformity scores instantly indicate how well a subject property fits in with those around it. The Homogeneity Score can identify hard-to-value neighborhoods, such as those with significantly dissimilar homes. A less homogenous neighborhood also indicates that the appraiser may have had trouble choosing comps near the subject property. A high Homogeneity Score paired with a low Conformity Score indicates the subject may be unique to its area and possibly hard to value. Ordered through FNC’s Collateral Management System® (CMS®), accessible through CollateralDNA.com, or through an interface to your processing system, Property Scan is useful anywhere accurate data is needed for collateral analysis. 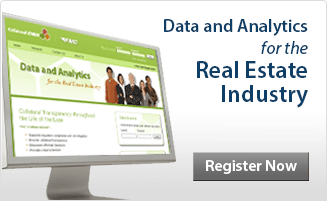 Make Property Scan part of your review process for accurate analysis every time.